How to lubricate standard flaring tool to make the job of rolling brake line flares much easier. How to lubricate the flaring tool to make the job of rolling brake line flares much easier. If you make your clutch or brake lines yourself, most probably you are using the standard flaring tool. This version of the flaring tool requires a good tool preparation to get the job done correctly. Besides careful alignment of the tool in the process of making clutch or brake line flares a big help in making a perfect flare comes from lubricating of all surfaces of the tool that rub against each other, in other words, lubricating all points of friction. Take the cone of the screw off the yoke. 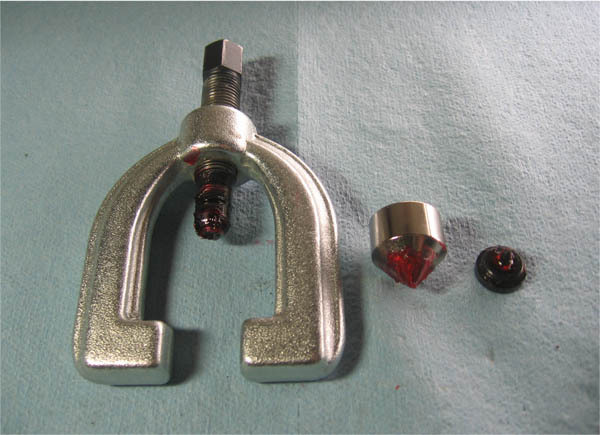 Use red rubber grease to lubricate the tip of the screw, the tip of the cone and the pin side of the appropriate adapter. 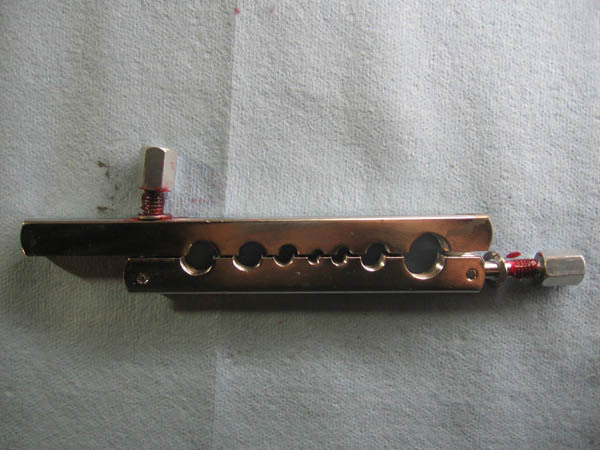 The bolts of the die block take a lot of wear from tightening in the process of making flares and since they are often made of rather soft steel it is a good idea to apply some red rubber grease to their threads as well. 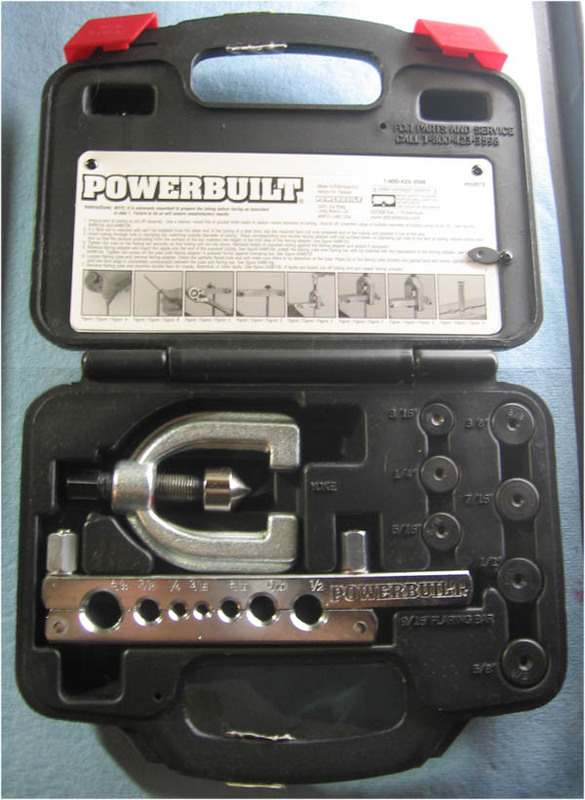 This will prolong the life of the bolts and also will make both tightening and releasing their nuts much easier. You should not use any petroleum-based grease near brake fluid and for this reason red rubber grease is a perfect lube in this situation. The grease will reduce the friction between moving parts of the tool and between the adapter or the cone and the end of the brake line. Also, because it's compatible with brake fluid, red rubber grease will not contaminate your car's or motorcycle's hydraulic system. We hope that the above tips will help making your flares perfect and rebuilding your clutch or brake hydraulic system a great success. 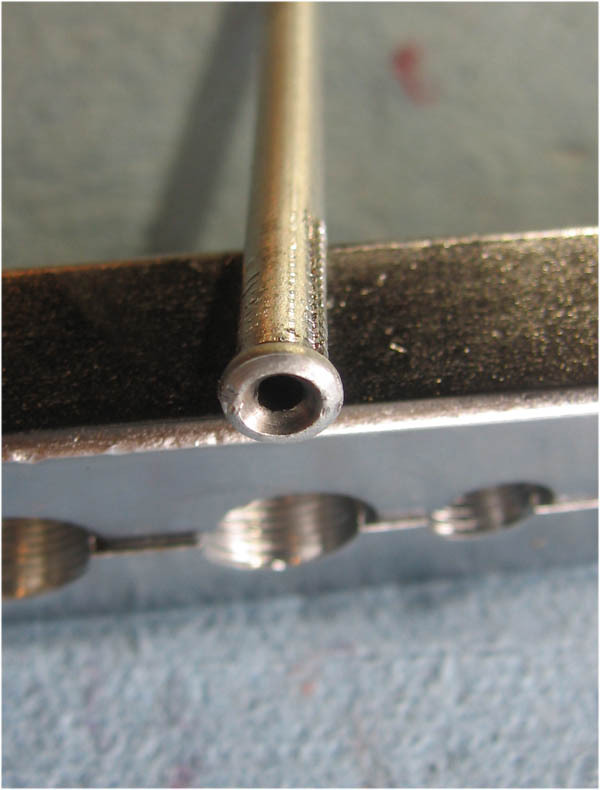 Learn about a better way to make double flare brake lines.